The first public use bicycle program on the African Continent will begin on November 7, 2016. 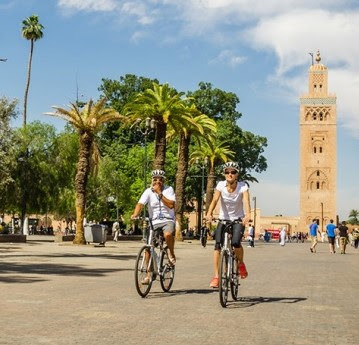 Medina Bike will launch with 300 bikes in 12 stations for the opening of the Congress of Parties, COP22, of the United Nations Framework Convention on Climate Change, UNFCCC, in Morocco. According to InfoMédiare the program will have equipment from the French company Smoove. This week Mobike, the free floating Chinese public use bike program, has expanded into Shenzhen, China. Starting in April 2016 in Shanghai, the are now Mobikes in Beijing, Guangzhou and Shenzhen according to LeiPhone.com. 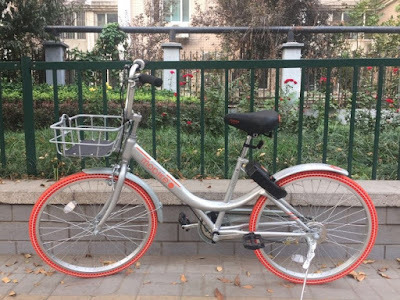 Also this week, Mobike introduced a new Mobike Light bicycle. According to the Shanghai Daily, this bike will first be deployed in the Baoshan District, just north of Shanghai. It will cost around 7¢US per 30 minutes to use this new bike. One half the price of using the original Mobike! Between these two bicycles, Mobike hopes to have 100,000 bicycles on the streets of greater Shanghai by the end of the year. That would overtake Hangzhou for the title of the city with the world's largest public use bicycle program. 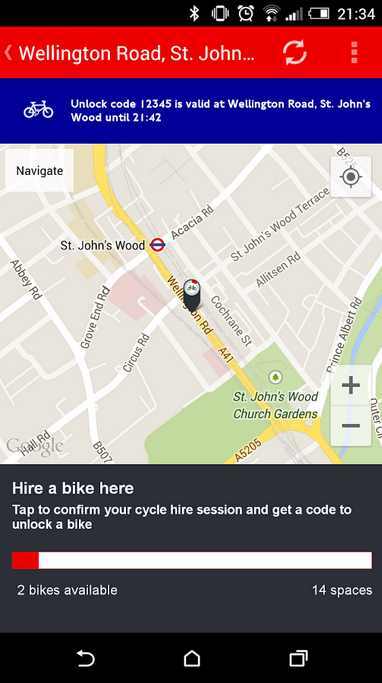 This week Nextbike started installing a pilot program running for the month of November in Lichtenberg, Germany. This is a test to make ready for its deployment of 5,000 bikes in 700 stations next year in the city of Berlin. 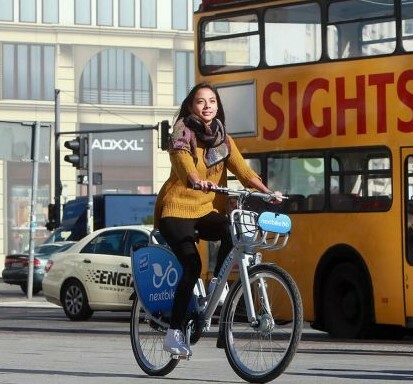 The program is to replace the 1,500 bike Call-a-Bike system currently in Berlin. According to Berlin.de and Berliner Kurier, the City Senate has told Call-a-Bike to remove its bikes and stations, but Deutche Bahn, Call-a Bike's parent company, says it will replace its system with a new one in Berlin. Stay tuned for reports on this teutonic shift! B-cycle introduced two new bicycles to add to their offering for the public use bicycle market. The Dash has an 'on the bike user interface' that could be used in a 'free floater' dockless set up. It will be available soon and is compatible with current B-cycle programs. Also debuted, in prototype form, is the Dash+, a pedelec, which will be available in 2018. Both bikes can be accessed by mobile phone applications and a have a handle bar electronic screen to display navigation and information. 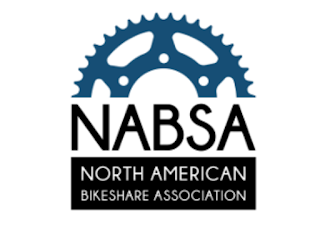 This is the conference to attend in 2016 for all information you will need to know about Public Use Bicycling whether in North America or not! A goal of publicly owned bike-share systems is to provide safe, cheap, and widespread transit for its citizens and visitors. While annual memberships offer this for frequent customers, the 24-hour membership that many systems have does this poorly for infrequent and would-be customers. To improve upon this, the Washington, D.C. region’s Capital Bikeshare has embarked upon a new pilot fare – the $2 “Single Trip”. Unlike the common duration-based bike-share fare types, lasting anywhere between 24 hours and 1 year, the trip-based fare type is more transit-oriented as it’s focused on the lowest common denominator – the trip itself – rather than a time period. 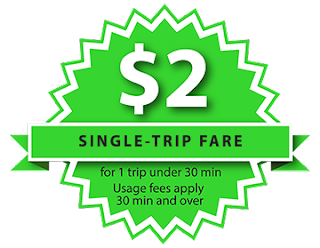 The Single Trip fare’s $2 cost gives a customer up to 30 minutes of ride time with greater usage fees for longer trips. Capital Bikeshare’s Single Trip fare is one of the least expensive fare options of the “buffet model” of pricing in North America that was discussed here on The Bike-sharing Blog on September 14, 2014. The D.C. region joins Pittsburgh’s Healthy Ride with their similarly priced “Pay As You Go” fare. Offering a trip-based fare in an established duration-based fare structure creates great risk. The risk is that revenues would drastically drop as customers who were formerly paying for a higher priced 24-hour membership, instead decide to purchase a trip-based pass at a quarter of the price. Less revenue would hurt a system’s cost recovery and make the system more reliant on other revenue sources, such as public subsidy or more advertising, if these options were available. To many public and non-profit systems, they are not. The other possible outcome is that the trip-based fare would induce more trips by those for whom a 24-hour membership cost were too high, but who would pay the cheaper $2 fare which is comparable to the price of other modes of transit. It’s unknown at this point which way the wheels will turn on trip-based versus duration-based revenues, however things are looking good. Over the past year new and established systems in North America have been inching towards lower-cost trip-based fares, such as with Montreal’s “One Way” pass for $2.95 CAD ($2.28 USD) and Philadelphia’s “Walk-up” and Minneapolis/St. Paul’s “Single Rides” passes – both for $4. There is also the “Pay As You Go“ fares of Social Bicycles that are charged by the minute -- another good solution. Whatever name the pass goes by, the trip-based fare will hopefully increase bike-share trips, generate greater revenue, lower the financial barrier for people who need just one or two trips rather than 24 hours of trips, and make riding a bike a legitimate 2-wheeled transit option in a country where bike-riding for transport is not commonplace. Further, it could make bike-share resemble the more common fare structure of other modes of transit by removing the membership aspect and pricing it similarly to bus, streetcar, and rail. At an historic time in the Washington, D.C. region where the country’s 2nd most highly used subway system has begun a nearly year-long maintenance surge of single-tracking and station closures for weeks at a time starting today, Capital Bikeshare’s Single Trip fare will hopefully provide an economical and convenient transport option for the thousands of commuters who are looking for another mode in which they can rely upon for the next year and beyond. If Capital Bikeshare and other innovative bike-share systems are successful with the trip-based fare, it could be a new model for bike-share systems to emulate. MetroBike, LLC is affiliated with Capital Bikeshare. 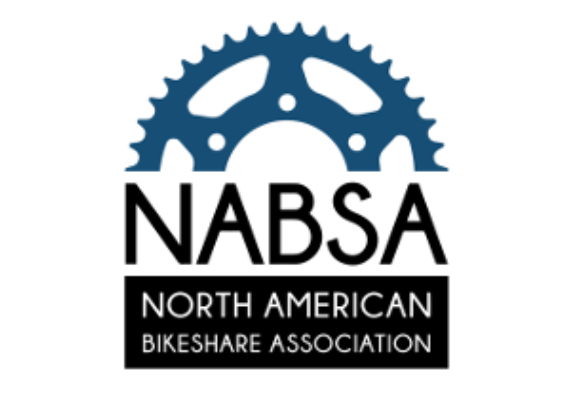 In the last few months there have been a few good and interesting reports about the state of Public Use Bicycling in the United States. These reports have been widely circulated by various media. We at The Bike-sharing Blog welcome all research and reports that further the public use bicycle industry. We assiduously read them all. The most positive report was Bikesharing and Bicycle Safety written by Elliot Martin, Adam Cohen, Jan Botha, and Susan Shaheen for the Minetta Transportation Institute. Their research showed that there had been no fatalities involving public use bicycles as of January 2016 and that public bikes are statically safer than trips on private bikes. Since I do a lot of research for this blog, I was curious to know just how many public use bicycle trips there have been in USA. The first public program of substantial size was the SmartBike D.C. system in Washington, D.C. which started with 120 bikes and 10 stations in August 2008. Using that as the starting point. I polled individual programs, accessed open data and queried vendors with the question, "Since the launch of your program or system, how many trips have been taken through December 31, 2015." With a 98% response rate, the total is 71,382,780. That is a lot of bicycle trips with no fatalities and an extremely good safety record. Over 32,000 bikes in the public use bicycle fleet are put in over 3,400 stations throughout 105 Municipalities in the U.S.A. 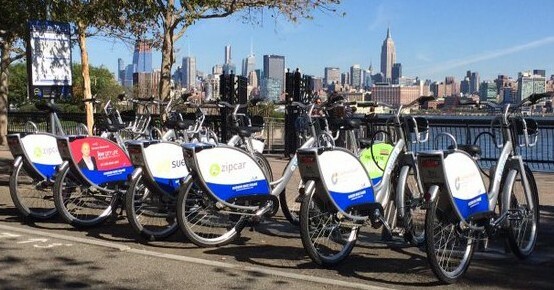 In early April, the United States Department of Transportation issued a report on the connectivity of Bike-share Stations in the United States. Unfortunately, when first issued, 40 municipalities and 1,000 stations were missing from the totals. By the diligence of this blog and city program operators, it has now been corrected. It is great that the U.S. Department of Transportation understands the importance of public use bicycle programs and how they fit in the greater transportation needs of the United States. The count of bicycles, stations, and cities comes from The Bike-sharing World Map. These numbers are for programs that are only open to the general public and that are automated and station-based. In the case of a university-owned program, it is only counted if there are stations off-campus and completely available to the general public. Bike libraries and manned programs and corporate and university campuses that are not open to the general public are not surveyed for this count. 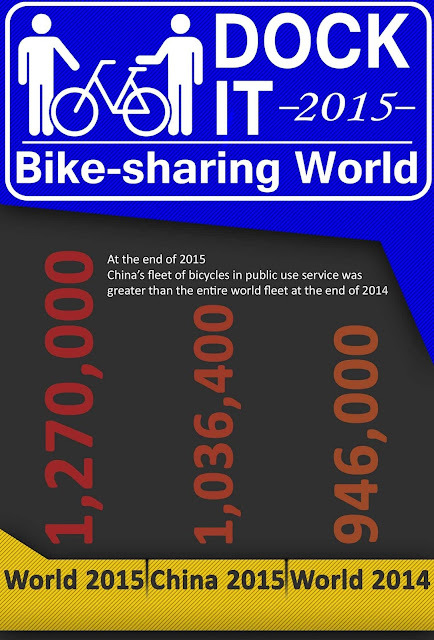 Bike-share has successfully made its way into the transport landscape around much of the world. Now that nearly 1,000 systems have been established globally, the proof of concept was the easy part and the hard part is just beginning – broadening the service to people who don’t ride a bike and who are a majority of the population. Bike-share competes against other modes of transport that can be more convenient and easy, like the private automobile, taxis, and ride-hailing services. A cold bike seat is a long way from the heated seat of some cars, so bike-share also must become more convenient and easy in order to attract new and keep existing customers. Innovation is key and it’s impressive to see what some visionary bike-share services, operators, and vendors are doing towards this goal. JCDecaux, operator of Paris’s Vélib’, is showing two great examples of innovation. They’re experimenting with both a pedelec (pedal electric) system, called e-vls, and bikes with automatic gear change. The pedelec bikes likely will require that one lease a specially designed battery to insert into the bike (as shown below). According to JCDecaux the batteries can cover up to 10 km (6 mi) at a maximum speed of 25 km/h (16 mph). On top of that, e-vls thankfully won't increase the bike weight for those that aren't using the pedelec feature. Pedelec bike-share bikes aren’t the evolution of bike-sharing, but rather a complementary service for those wanting a little extra assistance to get to their workplace, home, event, etc. without sweating or tiring themselves. It will surely bring new demographics of people into bike-share that wouldn’t have considered using it previously as well as make the bikes more useful to existing customers. A complementary pedelec bike-share feature will help shorten the distance between origin and destination that for some would otherwise be too far, too hilly, or too strenuous to do it without electric assistance. Pedelecs are one more reason now to take bike-share and one less reason to not take a car. According to my Bike-sharing Blog and Bike-sharing World Map co-author, Russell Meddin, "There are approximately 70 cities that have partial or full pedelec systems totaling about 9,400 pedelecs in public use service world-wide. Most notably there is Jincheng, China with 3,000 pedelecs; Madrid with 2,000; Milan with 1,000; Barcelona with 400; Sendai, Japan with 300; and Birmingham, USA with 100." The number of municipalities and quantity of pedelec bikes surely will continue to grow. JCDecaux's Automatix automatic gear change trial is likely from SRAM's Automatix and it has the bike shifting gears based on the rider's speed, rather than the rider needing to know when to change gears to get the most efficient pedaling. This innovation keeps cycling simple for the majority of people. Fare types that better match the needs of the public is another innovation that is sorely needed. As discussed on The Bike-sharing Blog previously, bike-share needs fares that better match those of other transit systems. Let people pay for making one trip, rather than asking them to pay for a whole day of unlimited use. Very few systems charge a per minute or per trip fee, but thankfully they exist, like Montreal Bixi’s One Way Access and some Social Bicycles' systems. It's important that single trips are less expensive than the cost of riding a bus. Integration with other transit modes is sorely needed to make bike-share easy to switch to or from rail and bus. 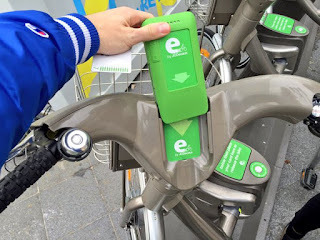 Let me use my regional transit smartcard on bike-share, like Bordeaux innovated with Vcub. As many people now don’t leave home without their smartphone, let folks use their phone to check-out a bike instead of needing to also bring a fob or smartcard. 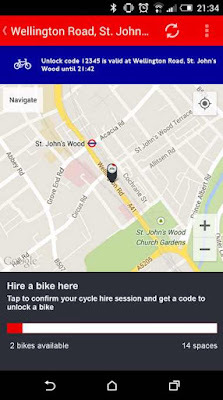 London allows customers to pay by phone through their smartphone app and issues a PIN for the customer to release a bike. BCycle and RideScout are innovating to allow one to use a smartphone or Apple watch to both pay and unlock a bike. The evolution of bike-share is turning it from bike rental into a full-blown regional transit system that is one of the big transport players. The bike-share industry needs to continue innovating to bring more customers, especially people who don’t bike, and would certainly not consider themselves a cyclist, into the fold and create more people simply who feel comfortable and safe on a bike. Two-wheel transit won’t reach its potential if it’s more bike than transit. It must be transit first and foremost that is on two wheels. Now let’s push bike-share where it needs to go over the next decade with more amenities and by making it easier and more fun to use. The opportunity is enormous for bike-share to have an even greater impact on cities, on peoples’ health, and on the environment than it presently does.